Apple Watch Series VS Swiss Watch: Will Apple Watch Triumph Over Swiss Watch? Every year on the Baselworld, watch enthusiasts soar with ecstasy for the latest watches from the traditional watchmakers. But the thunder of Baselworld 2018 is somewhat stolen by Apple as some attentions are turning toward its eagerly anticipated smartwatch Apple Watch Series 4. The release of Apple Watch undoubtedly turns the focus on its impact on the traditional Swiss watch and inevitably lead many users to ask which is better in Apple Watch vs Swiss watch fight. Besides, watchOS 5 updated many new features (Walkie-Talkie mode, better health tracking, new music app and more.) comparing with the former version so that more and more people want to figure out whether Apple Watch is the winner in the Apple Watch and Swiss watch fight. Both Apple Watch and Swiss watch are quite similar as they are used for time telling, but they vary from each other distinctly in many aspects. To help hesitant users decide which to buy, Apple Watch or Swiss watch, here we make an Apple and Swiss watch review to give you a comparison between Apple Watch and Swiss watch. 5KPlayer - let you 100% free AirPlay video music from Apple Watch Series 2 to MacBook, iMac Pro/5K/4K, PC Windows 10/8. No adware, spyware or malware. To compare Apple Watch and Swiss watch is like a collision of high technology and tradition. From a purely time telling point of view, Swiss watch has long been regarded as the best watches made for its accuracy. Unlike Swiss watches which focus on the improvement of craftsmanship and precision, the new Apple Watch Series 4 comes as an high-end timepiece with a wide array of features, such as a built-in electrical heart sensor, larger display, new CPU and GPU. It's not so much a smart watch as a ingenious wrist-worn gadget that does well as such. Admittedly, various Apple Watch apps allows it an attractive and novel choice in the Apple Watch Sieries or Swiss Watch question. High-end watches are always purchased by well-to-do wearers a visible symbol of wealth, and nobody want that symbol to fade away quickly. To keep this in mind, let's see whether Swiss watch or Apple Watch will stand the test of time. The ingenuity as well as craftsmanship of Swiss watches that become increasingly precious over time have propelled them to the top of the pyramid, setting a standard for all watches. In this regard, Apple seems to be in the dry tree in the comparison between Apple Watch and Swiss watch as it's a watch based on technological wonders, and which as known to all, can change rapidly. Swiss watch has long been developing high -quality timepieces and Swiss made has evolved as a guarantee of quality that has been earned over span of time. People regard Swiss watch as a status symbol because it delivers unparalleled quality, technically and aesthetically, for that it offers high accuracy and highly technical movements, depending on finest Swiss materials no where seen in various other watches. Compare Apple Watch and Swiss watch, can the former bring the ambitious trend in its phone series to timepieces? Apple Watch comes in different categories and the Apple Watch Edition is crafted from 18-karat gold. This may triumph over vast majority of lower-price Swiss brands considering Apple Watch's advantages in features, but the luxury Swiss watches still dominate the watchmaking industry. Apple Watch Series or Swiss watch? Which to buy largely depends on your budget. If you have enough money, you can get both watches, otherwise, you may also need to consider the price. Apple Watch Series 4 vs Swiss Watch, Apple Watch Series 4 starts at $399, the cellular model $ 499. This price seems to be ridiculously high as some of its functions have to rely on an iPhone. Swiss luxury watches are ranged in price but usually quite expensive. But in Swiss watch vs Apple Watch fight, Swiss watch is more generally accepted for its remarkable reputation of being water resistant and shock resistant, reliable and accurate. 1. Long history and well-deserved reputation in luxury watches. 2. High accuracy and highly technical movements. 1. Relatively single feature compared with Apple Watch. 2. Swiss watches always come in high prices. 1. Multi-functional high-tech gadget: electrical heart sensor, fitness apps, phone call making ability, music playback etc. 2. Popular among young generation. 1. Apple Watch can't fully functional unless an iPhone is connected. 2. As a high-tech gadget, it can easily replaced by the new generations. Summary: Like it or not, Apple Watch has a tremendous potential to lead more young people to wear watches. It is quite popular among young tech-savvy generation. But will Apple become timeless? That remains to be seen. It is believed that those new collectors will ultimately continue to pine for the highest end handmade Swiss timepieces. Which is better, Apple Watch or Swiss watch? 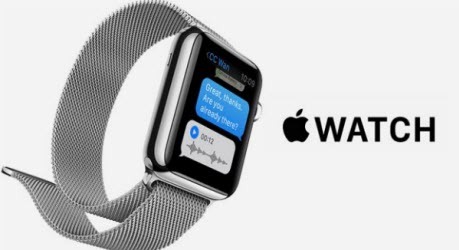 Keeping the Apple Watch advantages and disadvantages and pros and cons of Swiss watches in mind, the winner of the Apple Watch vs Swiss watch fight depends mainly upon your preferences on the degree a watch integrates traditions and high technologies. If you are more into classic luxury timepiece, Swiss watches will perfectly match your taste; if you are tech savvy and want a multi-functional and fashionable time-telling gadget, then go for Apple Watch.